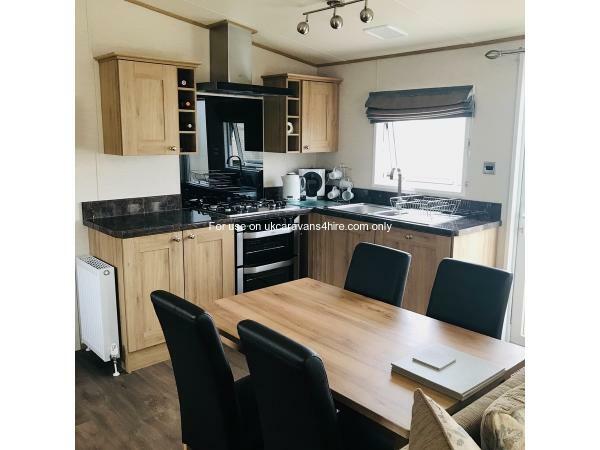 £50.00 security deposit to secure booking this is non refundable in the event of cancellation, Deposit will be returned at the end of your holiday (within 7days) as long as the caravan is left as you found it & no Damages. Full payment is required 6 weeks before holiday. * The nominated group leader accepts full responsibility and liability for the conduct of all guests should they breach any of the rules. *The holiday must not be sold on to someone else. -The rental charge is not paid within 6 weeks of the start of the holiday. -The caravan owner will not be responsible if you cut your holiday short,unless caused by problems with the caravan. *No drugs to be used or stored at any time. *No naked flames to be used in the caravan or on the upvc verandas -such as candles or barbecues. *You are responsible for the security of the caravan,All windows and doors must be locked securely when your not in the caravan. in the event of excessive use -duch as leaving the heating oral the time without the owners prior consent ,you may be changed an excess to cover the additional costs. *Any accidents in the Caravan must be reported to the owner immediately. 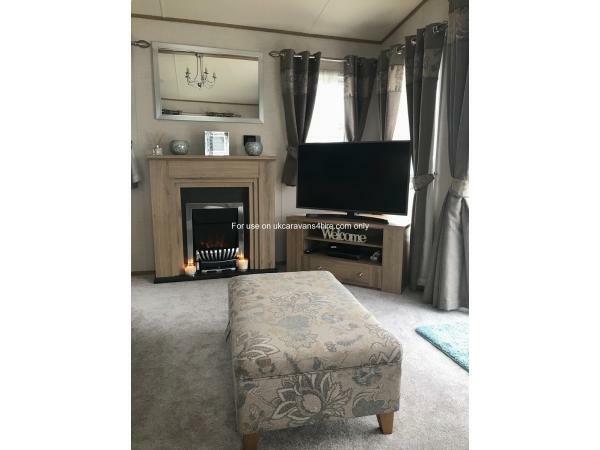 *The Caravan Owner is not responsible for any personal items left behind in the caravan. Accidents, cancellations, medical expenses or losses. situated on Havens Cala Gran Holiday Village in Fleetwood Blackpool. This park is a fantastic site with lots to do for all ages and it’s only 7 miles from Blackpool Tower. Cala Gran Holiday Park is also facing the famous Farmer Parrs – which is excellent for children. Should you wish NOT to venture off the park – you will find everything you could possibly need – including a Spar convenience store, mash and barrel restaurant and Papa johns Pizza. they can be purchased in advance by ourselves or upon arrival from the reception. Absolutely beautiful caravan. We didn't want to leave. Rooms were spacious, everything was spotless. I would highly recommend this and would love to stay again in the future. Had a lovely stay with family and could not fault this caravan at all. Everything you could possibly need was provided.In a good position for all amenities and if like us you had 2 cars a great car park adjacent to caravan but still very quiet. Would not hesitate in recommending this accommodation.